You will find testimonials on this site from happy customers and also excellent reviews on Checkatrade.com. 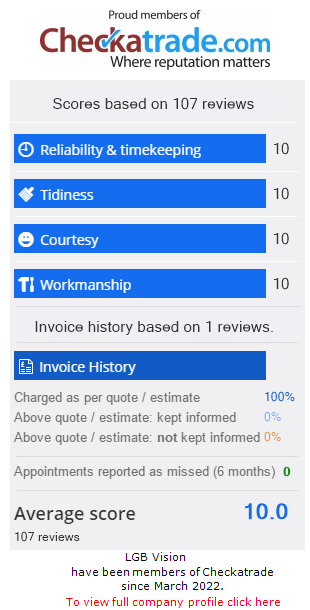 Lgb Vision Window Cleaning fully understands that reviews and testimonials can be manipulated so this is why we signed up to checkatrade.com who monitor their members and verify any feedback placed on the site. As of 2017 we will limit the number of testimonials placed in here.